Optimization – Everyone has heard of it floating around the world of marketing jargon. From Search Engine Optimization to Conversion Rate Optimization, the amount of “Optimization” can be overwhelming. But what does it all mean and why are these terms important to marketing? With technology evolving every single day, it’s flexible marketers and businesses that are able to stay up to date with the needs of the ever-changing digital business atmosphere. To help conquer the fast pace world of Website Optimization, you’ll need to master the art of Landing Page Optimization to achieve your marketing objectives. We made you this guide to steer you towards the well-crafted landing page your website needs to help take it to the next level! Think of your landing page as an island, and your customer as a ship sailing by. They will only land and stay on your island if your island offers something enticing! A landing page is an element of your website intended as the destination where visitors first “land” upon visiting your website. A landing page exists to capture and retain the visitors’ attention on the information or offers you want them to see! Landing Page Optimization is your path to improving the user experience of the Landing Page. Inviting and friendly information forms for your visitors to fill out. By properly implementing UI/UX strategies to capture the appeal of your company’s offer to its audience, you’ll be able to reap the benefits of having an optimized landing page. Most people think that the landing page and the home page are the same thing. This is not the case. While many visitors may “land” on the home page upon clicking on your website, a homepage encourages visitors to explore the site – trying to find the information that they need. The design of a landing page is for a single promotion or offer and directs the visitor towards a specific goal or presentation. By removing navigation buttons you prevent distractions and direct your visitors towards your intended path. Landing pages prevent scarring and don’t annoy users with information that isn’t useful. A landing page that optimizes content increases conversion rates and profitability margins. Conversion rate optimization (CRO) involves the process of how your visitor goes from your home page to receiving the “thank you” email, signifying a purchase of a good or service. However, the difference between landing page optimization and conversion rate optimization is the focus on what you are trying to accomplish. LPO is involved in the effectiveness of the landing page itself rather than with every marketing element on the website. CRO looks more at the path a visitor takes. Both forms of optimization deal with data collection, conversation methodologies, and UI/UX practices. The only difference is the range of its focus. Now that we’ve laid out the definition of landing page optimization, we can move onto creating the ULTIMATE landing page for you. I guarantee these tips will entice your audience and increase your customer leads and company profitability. I’ll be going through vital components of every landing page, LPO UI/UX principles, and even step-by-step guidance towards constructing an effective landing page. Ever heard of Goldilocks and the Three Bears? 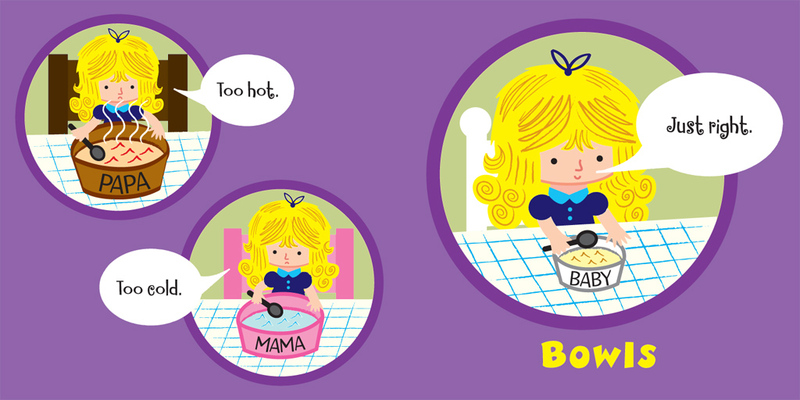 Well, your visitors will no doubt have Goldilocks preferences when it comes to landing page forms. For instance, when the form is too long, it may scare away potential customers from passing on their information into your database. However, if it’s too short then you might not have gathered all the information you need to determine which visitors are worth a follow-up. So like with Goldilocks and her porridge, the length and aesthetics of the form have to be just right. A call-to-action button should not be a needle in a haystack. With one look at your landing page, visitors should be able to immediately locate not only the button, but also whether it’s encouraging a purchase, sign up, free consultation, or a free demo. Typically, the most useful places to place the CTA buttons are at the top or bottom of the page since users are more likely to spend time clicking on them if they don’t need to do any scrolling. The visual elements of the button should also match the typography or design of the website as consistency affects visitors’ trust in the value and offer your company may be presenting. Which of these buttons are you more likely to press? It’s tough to tell one the left is a button. Make it obvious. For example, if the CTA is offering a deal on personalized dinner plates, then the landing page should solely be about those personalized plates rather than personalized cups. No one will believe in a liar. Ever click on an article that didn’t deliver what was promised? What did you do next? I know what I did, I clicked off the page. With roughly three seconds to establish website credibility, you probably clicked out of that article after being misinformed by the title of the post. As a result, it’s extremely important that your offer and landing page align as well as making sure your CTA’s are accurate. Too much information and misdirection will confuse and frustrate your potential customer. In addition, you want to ensure there are no gimmicks behind your CTA offer. A fulfilling and well-described offer helps your business establish trust and can lead to higher rankings in searches. Many people look for forms of safety nets before investing their time or money into products and services. When marketers don’t apply safety elements to landing pages that develop trust between the visitor and the company, the visitor may hesitate to provide their personal information and leave the page. There are many ways to implement trust indicators. With concrete numbers and reliable words to back up the company’s credibility, prospective customers are more willing to consider the offer or even accept it. Did you know Google experienced a 20% traffic drop in 2006 because of a .5 second delay in the search results loading time? That means within the time span of only half a second, Google, the most powerful and largest search engine at the time, lost 20% of its typical consumer usage. How does this relate to landing pages? As mentioned before, we really only have about 15 seconds to capture the attention of our audience before they lose interest. Consequently, when we use 5 – 10 seconds of that time to load the page, that means we only really have about 5 seconds left to get the audience interested in accepting the call-to-action offer. Sometimes marketers get too caught up on strategies on SEO and overlook the importance of the user experience – especially on mobile phones. According to Forbes, 74% of people use their mobile phones to help them while shopping. Hence, if you want visitors to accept your offer or purchase your product, you need to make sure the website is pleasing to the eye and the user. You want your landing pages to be mobile responsive. But, what do mobile responsive landing pages contain? Now that we’ve covered the essential parts of a landing page, let’s talk about how to design a landing page that converts! In today’s society, this statement could not be truer. We live in a digital world and as a result, new information is never in short supply. This constant stream of information has made the attention span of internet users’ shorter than ever. You only have seconds to convince your visitor to act. This consists of your landing page loading fast, being easily readable, and functioning as intended. These factors can push your potential customer to take action and pursue the offer. Impressions are formed at hyper speeds at acute levels of consciousness. A small confusion within your message or a glitch could make the difference between a conversion and abandonment. After all, the back button is only a click away. Today, we see the use of minimalism in a variety of fields and captures the technique’s two values: simple and meaningful. Contrast – Contrast is a very good tool to optimize to bring the very best visual performance for your landing page. In fact, the choice of colors, shapes, and placement are frequently chosen based on the contrast of the elements. The CTA or call-to-action element of your landing page plays the most integral role and is the place where visitor conversions happen. It should immediately stand out. This can be done by implementing contrast through shapes or color. In addition, the offer of the CTA needs to be clear. This can be visualized or clarified through proper copy or icons. Colors, or the lack of them, are an important player in any aspect of art. It has the power to convey various messages or feelings towards its viewer. A landing page is no different. While a harmonizing color palette would not only foster the aesthetic satisfaction of the designer and visitors, there could also be a hidden message behind the association or usage of the colors. As a result, colors are important for influencing the conversation rate by appealing to a visitor’s eye for aesthetic as well as appealing emotionally to the target audience. Fonts can bring out emotions and influence visitor actions. While it might seem super trivial, if you were to receive an important document in Comic Sans, you most likely wouldn’t take it seriously. Well-balanced font combinations have a large impact on the readability of your landing page. If the font does not aesthetically correspond with the colors used or with other fonts, then this can scare off potential converters due to differences of the font. Because your audience is reading in their head, it’s important that your fonts also communicate the tone you want to come across. Certain choices of fonts, sizes, bold/italics/underlined, and even capitalization can portray different emphasizes and are read differently. If your page does not flow, the visitor may decide that your page requires too much of their time an abandon the page before they really understand if the offer corresponds to their needs. This is what we want to help you avoid. Image synergy is important, especially on landing pages. It’s important for the images that are used to not only match visually with the page but also with the company’s offer. For instance, if the offer was about a free one month trial of men’s razors, then you wouldn’t want to also display images of men’s shampoo or shave cream because that will deliver the wrong message. Furthermore, the images should also be an appropriate theme related to the company, or a high-quality photo presenting the product or service. Afterall, a picture is worth a thousand words. We live in an age where Youtube is becoming the web’s “second search engine”. Ever since the middle of the 20th century, people have been glued to their TV screens and are now slowly moving their attention towards smartphone and computer screens. In fact, a study by eyeviewdigital.com shows that using video on landing paths can increase conversion by 80%. A video can increase the length of time people stay on your page without them realizing it. Your video can feature company employees or yourself to establish trust and can alleviate the burden of reading since many people prefer to watch rather than read. While many UI/UX principles are covered, none of that matters if the visitor clicks the back button before everything loaded. Although this may seem simple; optimization of images, quick-loading videos, transactions, and motion effects will make or break conversations on the site. Just as with any marketing tactic, you want to define a specific target audience. This requires you to find the most effective and efficient ways to attract your audience’s attention to the specific offer or product. A landing page becomes a powerful marketing tool when the page is altered to target your demographic. By changing the looks of products to match specific backgrounds the message provided motivates or persuades the target audience. We’re talking about optimization, but you don’t need to fill every inch of your page with content to get your message across. Actually, don’t do this. You need white space to support a minimalistic design and help draw your audience’s eyes to what truly matters. White space, also called “negative”, white space adds air to digital spaces and involves utilizing space rather than color. It is a very elegant way to meet the visitor’s aesthetic eye. But other than artistic purposes, it can also help the offer or product stand out by creating contrast and increasing legibility. The white space allows visitors to avoid information overload and take a visual break while taking in the content on your landing page. It’s important to ask yourself the important questions when making something as focused and targeted as a landing page. First-impressions are very important, so putting the most important information in places that visitors focus on first will produce the best conversion results. If you are looking for simplicity and where the CTA is, the main takeaway on the page, then the Z-Pattern is the way to go. The Z-Pattern is involved in pages that are less informationally dense and is designed for eye movements that resemble the letter ‘Z”. The goal to the Z-Pattern is to point visitors towards the offer and encourage them to act upon your offer by placing the CTA along the Z-path. A/B testing is a strategy involving gathering data from various samples to aid optimization. It involved testing the original design (A) against an altered version of the original (B) and see which design brings in the best results. In other words, the data will tell you what visitors like and don’t like about the components of the landing page. By testing different elements on your page and changing them as needed, you’ll have the best version of your landing page optimized for conversions. Because everything is done online, every factor is adjustable and has the potential for improvement. By taking advantage of A/B testing, you can carry out the best and most compelling changes as needed. Almost every element on the landing page is considered to be testable. While you shouldn’t limit yourself to this list of suggestions, it’s definitely a good place to start. Keep in mind to only test one change at a time because if you test two things at one time, then you won’t know what led to the change in the conversion rate! There are many different online tools that allow you to measure certain metrics. Analytics – When looking at KPI’s, using analytical tools is a must. The most popular one is Google Analytics. Other sources also include KissMetrics.com, HaveAMint.com, and GetClicky.com which allow you to start tracking metrics as soon as possible. Heat Mapping and Visitor Recordings – These programs allow you to track the movement of the mouse cursor across the screen either through screen recordings or with heat mapping. A good option to start with is Hotjar! Customer Feedback – Sometimes the best way to answer is a question is to just ask someone directly. By reading discussions or critiques about your own landing page or other company’s, you will eventually know what information people are willing to give out and what questions might scare them off. An important thing to keep in mind during testing is to not run the A/B tests for too short or too long of a time period. Running it too short will result in a statistical error and won’t address the correct changes needed to optimize the page. Running it too long will hinder the process towards implementing the right adjustments due to wasted time. Start by using different versions of the unique selling proposition (USP), then move onto the images, and then the CTA, and finally the Benefits, Trust Symbols, and Colors. This is an easy order to start with as every element going down the list is adjustable in the correlation of the one to the left. Remember, A/B testing never stops because your landing page won’t be able to stay optimized forever. The digital world is constantly changing and the most optimal forms of user engagements are shifting from one ingredient to another. You’ve now honed the art of landing page optimization! You have everything you need to make optimized tweaks and watch the conversion rate skyrocket beyond your expectations! Selling to everyone is harder than it sounds. Imagine being in a room with thirty kindergartners and trying to get their attention using only one sentence. Each kid will probably respond to different aspects of what is being said. You’ll most likely have to repeat the same thing with various words and tones until you have the attention of all 30 of them. Just like a bunch of wild kindergartners, you need to utilize specific visual and verbal cues to capture your audience’s attention. As a result, in order to maximize the effect of your efforts, you should cater to a very specific group or audience. You should customize everything towards that particular group. However, this isn’t to say that you should only sell services/products to only one target market. You’ll need to figure out ways to implement a single marketing campaign that appeals to a variety of customer personas and segment it in a way that is easily categorizable. 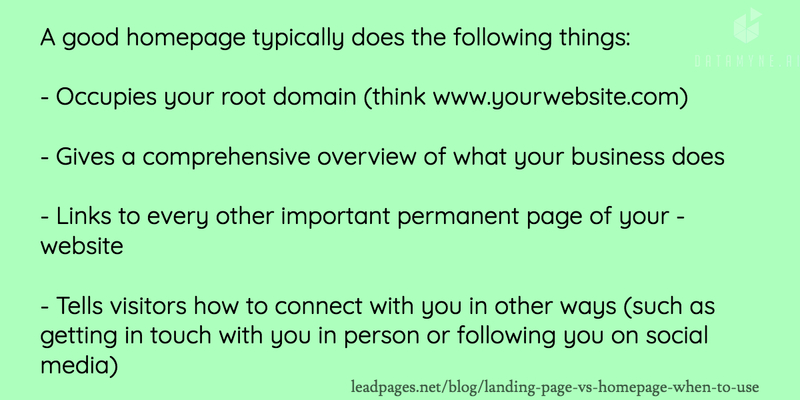 A prominent element on your landing page should be the interest form. However, in exchange for your visitor’s personal information, what are you going to offer them in exchange? In order to convince them to even spend the time to enter in their information, you’ll have to offer them an incentive that they won’t be able to accept it without leaving the page. If you sell premium services or products, a low-cost or even free trial works very well. However, with written incentives be careful because, in a research done by Contently, the average length of a downloadable document is 13.4 pages and around 35% of readers spend less than 30 seconds reading glossing-over long blog posts. You only have mere seconds before the visitor loses interest in whatever they display on their screens. When it comes to making or breaking the design of your landing page, it all comes down to two elements: the Headline and CTA Button. For example, changing the headline from 10 point font to 13 point font, or using odd numbers when listing steps or tips could increase your landing page conversion rate by 133%. Meanwhile, adding more specific words in your CTA button could also increase conversation rates by 213.16%. In addition to noticing and adjusting to small details in the headline, the parallelism between the website and the landing page is also important. Customers believe in gestures of kindness. Deliver what you promise and they will more likely be willing to invest their hard-earned money into your business. Would you go bungee jumping without a safety harness or safety rope? Unless you’re a daredevil, most people would answer HECK NO. Customers are exactly the same. Without any form of social reassurance, they would be less willing to give up personal information, especially for a product/service that has no credibility. In today’s digital world, social media is one of the most powerful trust enhancement tools available. By having social proof behind your offer, not only would visitors be able to see your social media followings, but also see if any of their friends also stand behind your services/products. Other than social media strategies, you could also mention any major media publications, Fortune 500 client companies, as well as industry celebrities. Customers want to know how their life will change because of your product/service, not all the different fancy features you can offer them. Align the values of your company with the values of your target market. By inspiring a shared vision, you will be able to enable others to act and take you up on the offer. You should clearly lay out the benefits for visitors in a simple and bulleted format. That way, the rewards can be quickly seen and analyzed with just a brief glance. Every element on the landing page should be benefit-oriented and minimalistic so you can make sure the value proposition is heard and persuasive. Many people don’t take the time to think about how their landing page will look on a mobile phone. BIG MISTAKE. About 60% of your visitors are browsing through your website on portable devices. A landing page with illegible font and other distractions, especially on a smaller screen, will no doubt scare away potential customers. The physical friction and average mobile session timespan of 72 seconds will encourage the reader to leave and ignore the offer. Most of us have the tendency to seek momentary pleasure and avoid current responsibilities. This is simply a part of human nature. This means that even if you’ve created the perfect design of everything we mentioned above, without an extra push for visitors to get out of their comfort zone, they’ll only stay and think over the offer. Luckily for you, urgency can persuade your visitors to perform your desired action. By creating scarcity with available inventory, recent bookings, urgency with discount coupons, or a timer, people will value the standing offer a lot higher than if that scarcity and urgency hadn’t been there. Most people these days would prefer to have information fed to them rather than read an entire article. Eye View Digital found that using videos on landing pages could increase conversion rates by 86%. Videos are easy to digest, especially for mobile users. However, at the same time, your video must be engaging. Emotion-driven, and memorable. If it doesn’t meet those standards and take charge of your audience’s’ emotions, then it is only taking up the space of other effective techniques. The longer you can hold the attention of your customer, the more time you have to convert into customers. A strategy that can radically increase the chances of that level of engagement is directly interacting with your customers. This is done through interactive product specifications or by asking a question that your visitors will care about. This interaction builds trust and a form of bond between the company and its customers. This is done to show the customer that the company is here to help with their specific needs and goals. Wow, that was a lot of information. I hope the information and examples give you an idea of what it takes to build high converting landing pages. I also hope that you see that this is something anyone can do, given the time effort and willingness to make a few mistakes along the way. Anyone can throw up a landing page in an hour, but building an optimized landing page that produces results is a much deeper endeavor. Our blog page is based off a theme we purchased and we customized it in-house. Nice Article you’ve got shared. When someone arrives on your website for the first time, you simply have a few seconds to catch their attention. 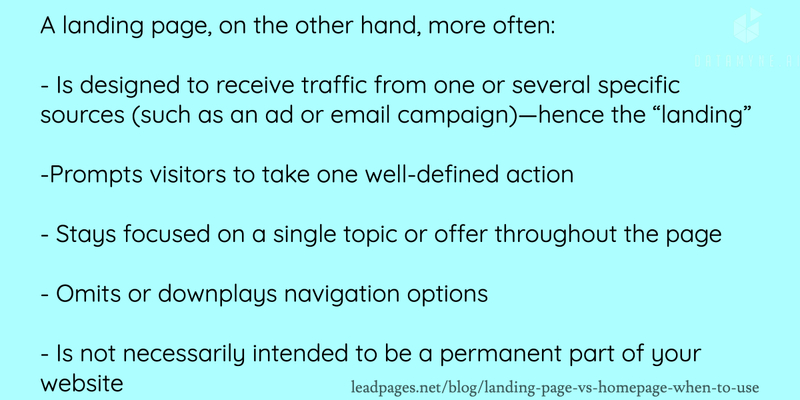 Landing pages are the most effective way to convert visitors into a lead. If your landing page isn’t nice, it’s like you’re fishing without a net: you’ve gotten your visitors this far, however you’re unable to urge them into the boat.